When inserting the Silhouette Soft Thread Lift is underneath the skin, your skin gently reacts to the skin creating a [selective inflammatory response" to produce collagen and create a longer-lasting result. Our skin is excellent at repairing itself, and when the Skin Threading Face Lift was inserted underneath the skin to lift the loose skin, the skin will heal itself by creating new collagen naturally! The P4D Cog Pdo Thread from korea may be combined with other, more minor surgical procedures, such as Botox, Injectable Fillers, microneedling or skin resurfacing lasers. 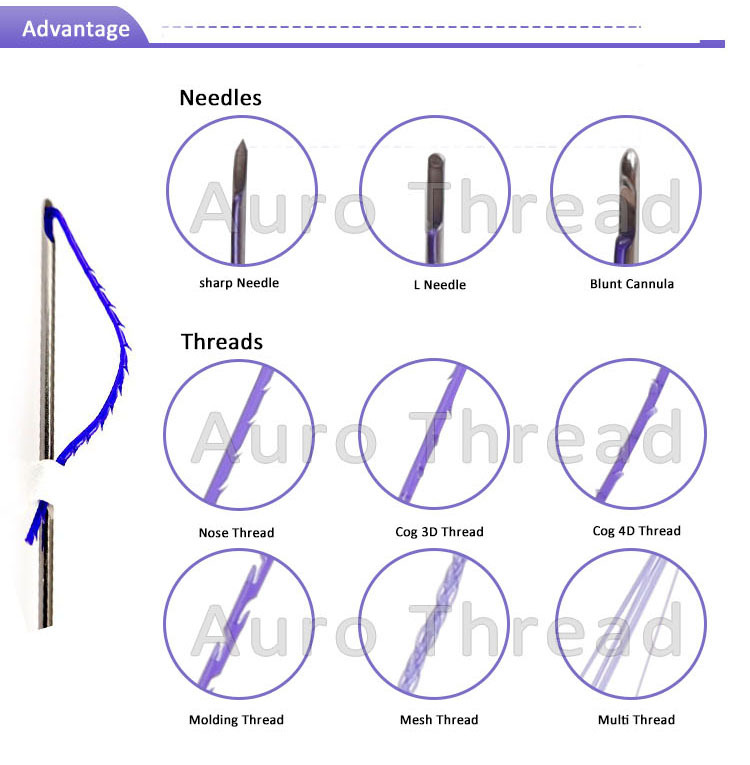 Auro Thread is a thread with no cones, so Blunt Needle Cannula Pdo Thread Lift is no damage to the tissue and it is very safe. Aging causes the skin tissue to be thin because the collagen and elastin fibers break down, which results in sagging skin, deep creases, folds and wrinkles. PDO Blunt Cannula reverses the effects of aging. At first make small 1-2mm incisions at various points on the face. And then insert the hollow needle into the skin to put the threads in place. Attach the Beauty Blunt Cannula Needle to the fat underneath the skin, then be adjusted to tighten and smooth the contours of face. At last, trim the excess threads . 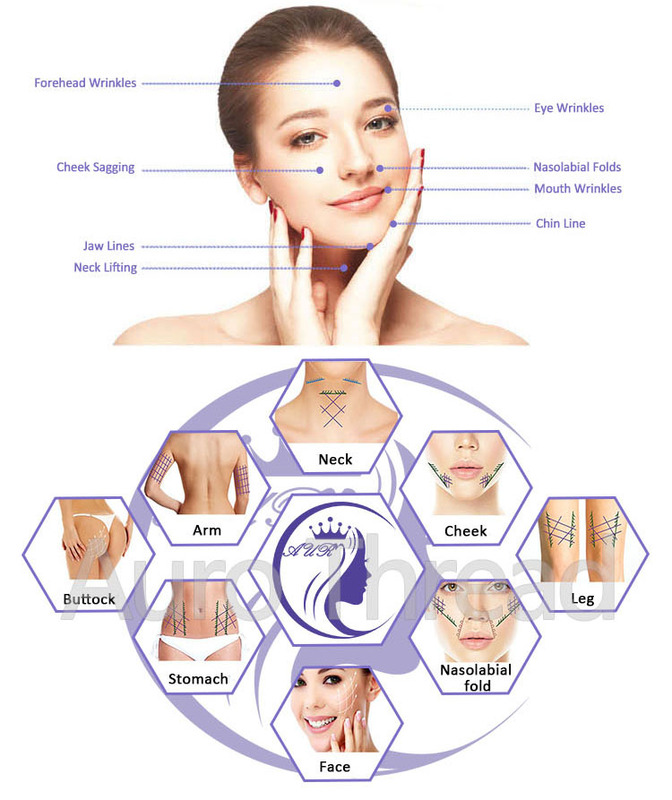 After inserting the v soft PDO Thread into the skin, it can continuously stimulate subcutaneous tissue and accelerate the muscle movement and contraction, so as to tighten the skin and remove the wrinkles. 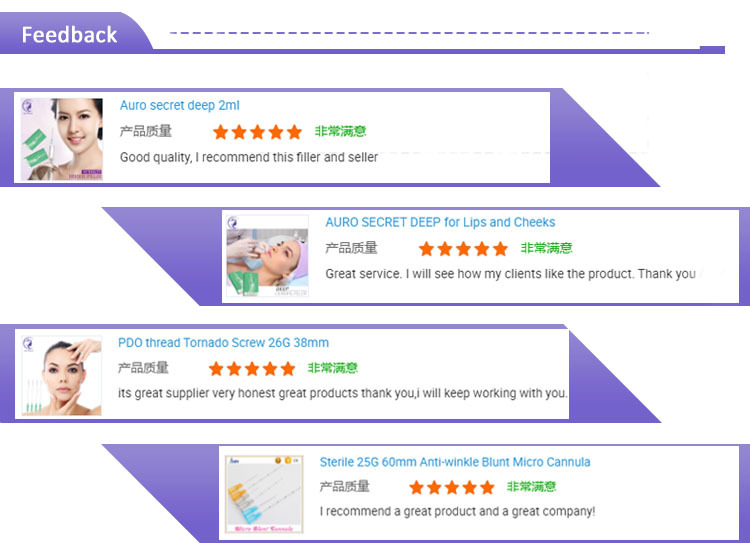 According to the principle of gold mechanics, the PDO Threads will hang and lift the loosen facial tissue, forming a strong support network under the face, so that it stops sagging, improve the relaxation and brings younger Pdo Thread results. Looking for ideal Thread Lift Needle Manufacturer & supplier ? We have a wide selection at great prices to help you get creative. 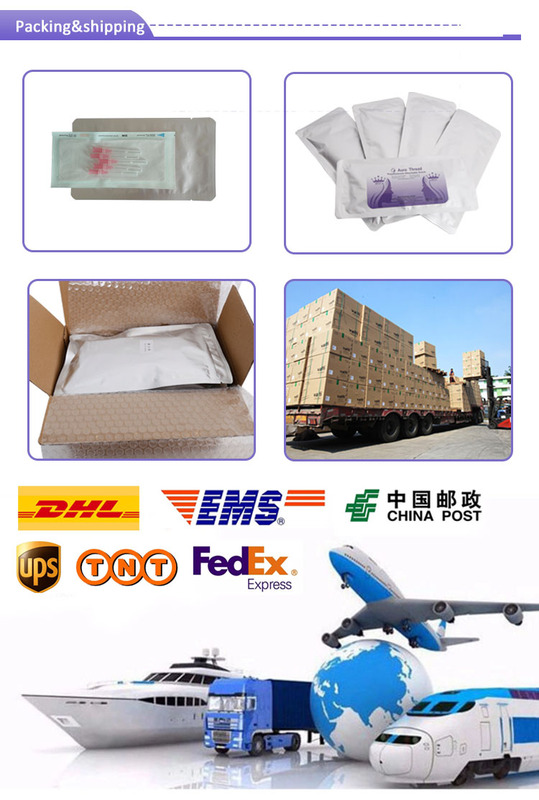 All the Spiral Thread Lift Needle are quality guaranteed. 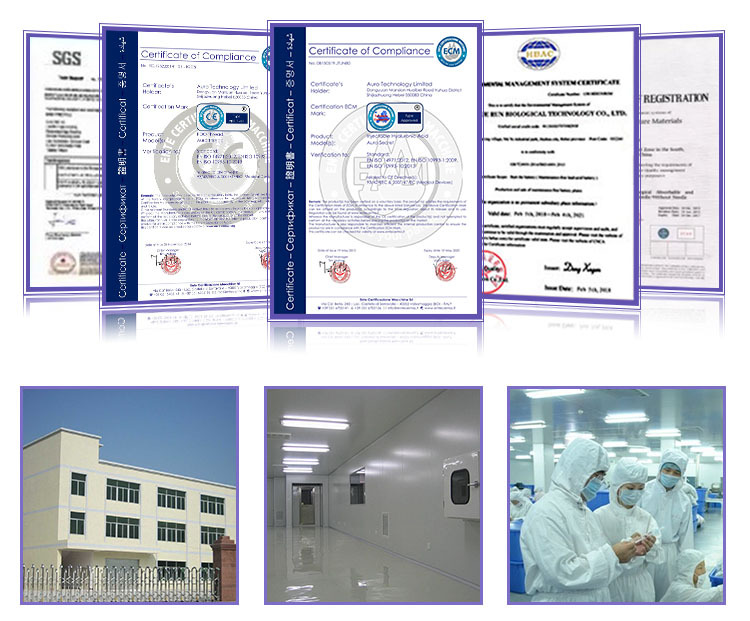 We are China Origin Factory of Spiral Thread Lift Needle for Skin Use. If you have any question, please feel free to contact us.